The Little Live Pets that love to get wet! Watch the turtle walk and swim so well, as it carries its friends on its shell! 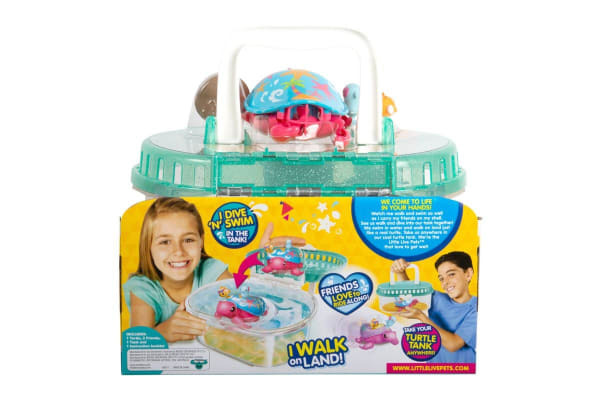 See it walk and dive into the Little Live Pets Lil’ Turtle & Friends Tank S6 together! 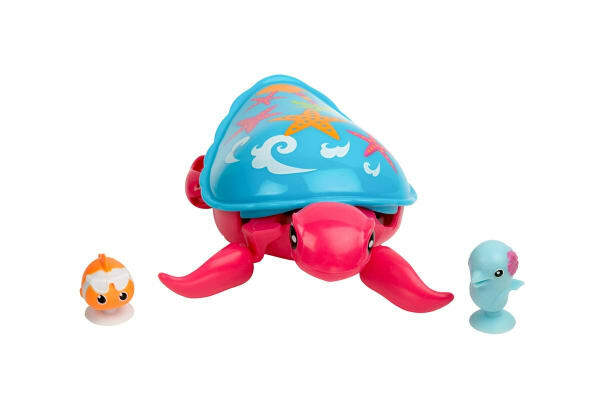 Lil’ Turtle comes with gorgeous new shell designs that will really make a splash! It is the cutest life-like pet that moves and acts so real! The turtle can swim in water and walk on land just like a real turtle. Take it anywhere in the Little Live Pets Lil’ Turtle & Friends Tank S6.